Well these past few weeks have seen the most public discussion to date with respect to the APTA’s proposed coding changes for the 97000 series codes that govern the billing of our services. 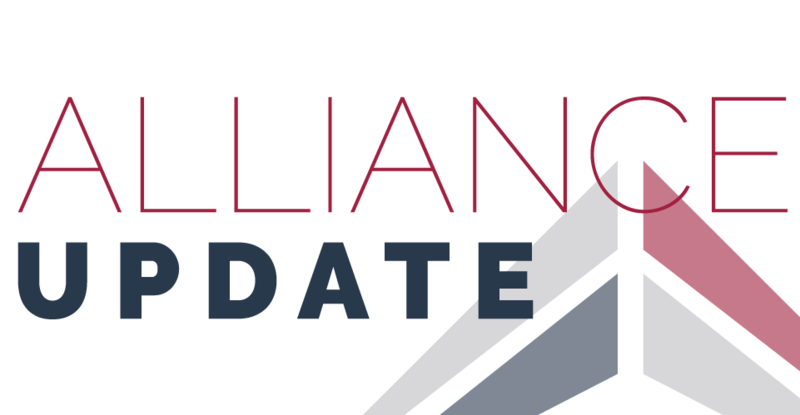 Our Alliance’s announcement that we would not continue to financially support our trade group while they were actively working on a plan that we believed (and still believe) will be detrimental and damaging to our member companies, as well as to the entire industry, has brought about a rising tide of awareness and discussion on this critically important topic. Now is the time when the APTA must step forward and release the FULL and unabridged version of the Gage study which was done to measure the reliability and validity of this proposed coding change. As we mentioned in our earlier correspondence, we received a copy of this report (with all of the data) some 7 months ago under a signed letter of confidentiality. Isn’t it time that the APTA and its leadership trust the members they have been commissioned to serve and transparently step forward with a full copy of that report? Additionally the APTA and its CEO, Michael Bowers have cited “confidentiality provisions” around the AMA process. Our Alliance is interested to know if Mr. Bowers or anyone at the APTA has requested that the AMA relieve them from any confidentiality provision and allow all of the proposed code set information to be released immediately. Additionally, why is there still no full release of the Barbara Gage study 7 months after we received a copy? It is time to get everyone on the same page with respect to this coding proposal allowing all members to have full access to all of the available information. While we might not all fully agree, then and only then will everyone have the information necessary to make an INFORMED decision with respect to what it might mean for them and their business. It is well beyond time for the APTA to be FULLY transparent about ALL ASPECTS of the proposal and the study results which our member companies, through individual memberships and other events, have helped to fund. It is time to work on a payment reform solution that isn’t just a highly subjective, fee-for-service bundle which will not advance the triple aim goals of healthcare reform, but will create tremendous havoc in the process. It is beyond time to openly and fully discuss all of these issues in the light of day for the entire profession rather than rely on the crumbs, bits and pieces approach we have gotten so far. I think our Alliance and all of its large and small company members as well as our profession deserves better. To those who have worked to try to build a bridge (even though we haven’t yet fully succeeded), Justin Moore in particular, I am hopeful that he (and we) can convince whoever holds the ultimate decision making power at the APTA that it is time to truly listen to its constituents. When our Alliance met months ago with the APTA board to formally share our concerns with them, we sent a letter (read letter) in advance of that meeting outlining our many concerns. Unfortunately, we were told at the meeting that while they agreed with all of the points in our letter that too much time had been invested in THIS proposal to turn back. Is that what we should really want and expect from our trade group? Shouldn’t we want the RIGHT solution? We believe thoughtful, well-structured payment reform is necessary. We do not however support what is being proposed by the APTA. It is our sincere hope that at some point we can work together to develop an alternative proposal that puts physical therapy in a position for long-term success as a result of our long-standing contributions. Our profession is certainly part of the solution in reducing unnecessary and wasteful healthcare and we should fight for the RIGHT solution and not accept one that will hurt our practices and our patients. Thank you for standing with us as we work on this important and challenging opportunity. As always, we will do our best to keep you apprised as this issue continues to unfold. This entry was posted in APTQI and tagged Alliance Update, APTA, Gage Report, healthcare reform by APTQI. Bookmark the permalink. It’s not a trade group. It’s a profession. Your actions and choice of words call into question the transparency and values of the alliance. In addition to asking for more transparency I expect the alliance, as big as it is, has its own proposal that it will be making readily accessible immediately correct? You can complain or contribute and is a shame you have only complained. Chris, thanks for taking the time to visit our blog and understand the position of APTQI. Our reference to APTA as a trade group is not meant to be disrespectful or disingenuous. Whether the term used is “trade group”, or “trade association” or “professional association”, their obligation is the same. Membership dues paid by both businesses and independent practitioners fund the APTA. They have an obligation to solicit input and feedback from the membership they represent as well as keep us informed as they act on behalf of the membership and profession. Making a conscious decision to disregard input as well as a conscious decision to avoid transparency is not in the best interest of the membership or profession. APTQI continues to gain support as our message and concerns are heard, unfortunately through channels other than the APTA who has chosen not to collaborate with us on any meaningful basis. Thus far, their only willingness to collaborate at all has been restricted to their CPT Coding changes proposal. Our hope is that they would stop this limited insufficient change and truly collaborate on reform that promotes our profession’s value. Your statement that when given the option to contribute or complain and “only complaining” is unfortunate and incorrect. Our group has attempted to work directly with the APTA from our inception, evidenced by meetings and numerous other exchanges. We have also attended AMA CPT Panel meetings and written both the AMA and APTA with suggestions. Key input from us was the need for modeling and testing prior to adoption. The results of the modeling are not in the public domain. We welcome the opportunity to participate in the development of a model that makes sense for the profession, but that does require the APTA to discontinue the pursuit of their current model which fails to meet the requirements of healthcare reform. The Physical Therapy Classification and Payment System (PTPCS) is a fee for service model, which does not address patient satisfaction, quality or outcomes. We are baffled by the decision to move forward with a new reimbursement model that does not come close to addressing these standards, and do not understand why they would push the model forward without first sharing with the membership the results of their pilot studies. Physical therapy is our chosen profession. We are caretakers at heart. However, we cannot bury our heads in the sand and pretend to not look at the significant ramifications behind an ill-conceived change of this magnitude. We should be evaluating quality of our care, its effect on the total cost of care, the impact on reimbursements, as well as the administrative burdens that accompany any new model.